Professionalism and success comes naturally to this business woman who prides herself in being determined, tenacious and ambitious. 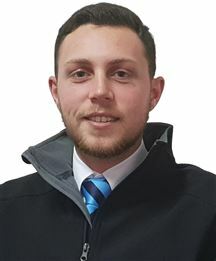 Adel Krugel, dynamic business owner of Harcourts Excellence and Rentalsdotcom serving the KOSH area - which includes Klerksdorp, Orkney, Stilfontein and Hartbeesfontein. Adel has 14 years experience in Real Estate - having started her career in 2000 as real estate agent at Homenet. In 2004 she became the proud owner of Homenet Klerksdorp. The group rebranded in 2009 when they became part of HARCOURTS, the biggest growing Real Estate brand globally with offices in Australia, New Zealand, the UK, the USA, China, Fiji... to name only a few - with 136 offices in South Africa. In 2010 the group also successfully launched an independent rental division known as RENTALSDOTCOM. Being focussed, tenacious and very determined Adel has successfully transformed from former English teacher and Head of Department in Education (with a BA Honns HED qualification) to a Real Estate specialist (with a full NQF level 5 qualification). Her various annual awards in Harcourts South Africa testify to her success. Her most recent awards include achieving the honor of being Top Sales Consultant 7th position nationally based on units sold in 2011. In 2012 she received various Golden and Platinum awards based on commission earned quarterly in both Harcourts and Rentalsdotcom. 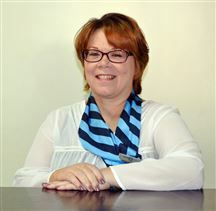 In 2011 she achieved 7th position Top Agent based on units sold in Harcourts South Africa. At the annual Harcourts SA conference held at the Wildcoast in June 2012 she also received Platinum status as Top Rental Consultant 2nd position in Rentalsdotcom South Africa. Received a Lifetime Award Diamond Pin having sold property to the value of R100,000,000. Current figure of value of property sold amounts to R135,000.000. Her educational degree does however not go to waste, Adel has also been appointed as Regional Facilitator for Harcourts South Africa and has been responsible for the training of all the Harcourts Agents in the North West. Living the values of her brand: Being Courageous; Doing the Right thing; People First; and Fun and Laughter. Adel and her teams at both Harcourts and Rentalsdotcom serve clients with passion, integrity and dedication.